Minimal and effortless, modern and versatile – the Mission 2 seater sofa in immaculate paper-white. 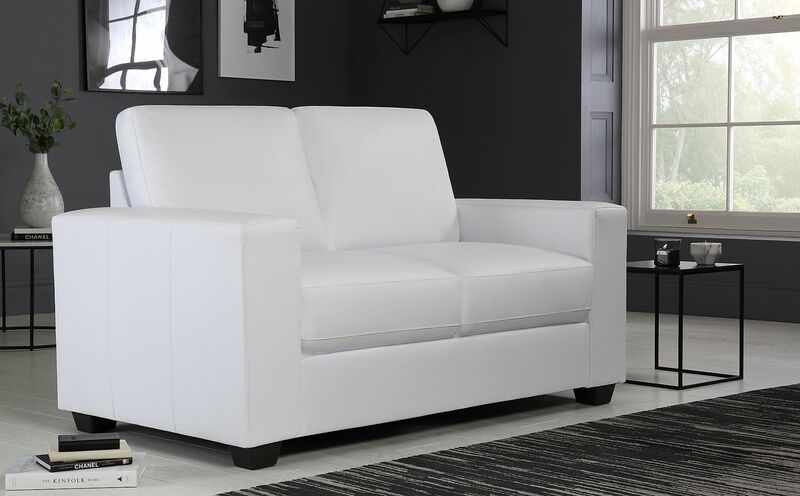 It's upholstered in soft and durable paper-white bonded leather with a protective coating to maintain its smooth, supple quality. The solid wood frame, fibre-filled back cushions and pocket sprung seat cushions ensure long-lasting support and comfort. The classic silhouette and simple sophistication are the Mission's secret weapons – and in paper white it becomes a statement piece for any space in your home.